If you’re in need of a garage door replacement at your Franklin, Tennessee, home, look no further than the professionals at 31-W Insulation. Our team has decades of experience providing home improvement services that make homes safer, more beautiful, and more comfortable. Whether your garage door no longer functions, has an outdated aesthetic, or is damaged in any way, you can count on the experts at 31-W Insulation to provide you with a range of replacement options that will suit your requirements. 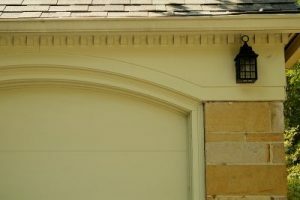 Door style – Amarr® garage doors come in traditional, carriage house, and specialty styles to suit any home’s aesthetics. Color and finish – You’ll be able to choose from many different colors or woodgrain finish options for your door. Window design – Our window panel options come in many different shapes, sizes, and designs to add a finishing touch to your garage doors. No matter how you choose to customize your garage door, you can count on the factory-trained employees at 31-W Insulation to perform the installation with expert precision. Contact us today for more information on our garage door replacement services and to schedule a free consultation at your Franklin, TN, home.